Home » Vintage China » Brooches » Abstract Patterned Brooch. 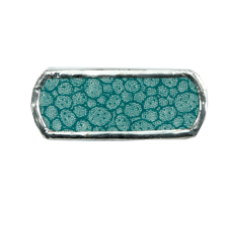 Vintage china brooch with unusual abstract pattern in Teal, edged with metal alloy. 5cm x 2cm.